Simply Indulgent, a new beauty therapy business opened recently in Taradale, my local shopping paradise. I was super excited when I was contacted by Fiona, Simply Indulgent’s owner with the offer of a complementary ‘Signature Facelift’ treatment so I could go and experience what she had to offer. Needless to say I was “off like Mum’s undies”, or so the saying goes. Before I get down to business, here’s a bit of an assurance – as well as a bit of a spoiler: I was so happy with the treatment that I’ve booked in for a follow-up that I’m happily paying for myself. I felt it was important to get that out of the way before you think about to wax lyrical about a complementary treatment because, well, I would like to receive more of them. I’d never do that. If I like something, I’ll yell from the rooftops. If I don’t, if it just didn’t work for me, well, you’ll hear about that too in the form of something like this blog post. So, with those assurances out of the way, here’s a whistle-stop tour of what I had done and what I rated about it! Simply Indulgent’s express ‘Signature Facelift’ is valued at $137* and is carried out using Image Skincare products. This treatment can be considered a “lunch time” peel because it only takes half an hour (although I wouldn’t want to get it done at lunchtime as you can’t wear makeup for the rest of the day, ha ha). Their brochure calls it “A wonderfully brightening treatment that aims to restore the health of the skin”. It’s essentially a four layer ‘facelift’ that uses uses products containing fruit enzymes and a 30% concentration of vitamin C. While it’s not quite a board certified, traditional facelift, it does have its benefits. However, it’s not going to quite get you the facial rejuvination of a normal plastic surgery procedure. How it works is that the vitamin C brightens and lightens the skin while the AHA’s (alpha hydroxy acid) in the fruit enzymes work their magic by exfoliating the skin. The beauty of this treatment is that the products work at a cellular level and claim to increase cell turnover by bringing new skin cells to the surface faster. Sounds promising, right? 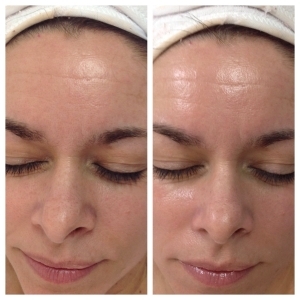 This particular treatment is an entry-level treatment to deeper peels that can serve to reduce lines and wrinkles (YES PLEASE), lighten pigmentation (DITTO: I’ve got a lot leftover from my pregnancy eight years ago). Now you know why I booked a follow up treatment- see ya later pigmentation and fine lines (fingers crossed). Oh, the treatment is also ideal for acne or rosacea. 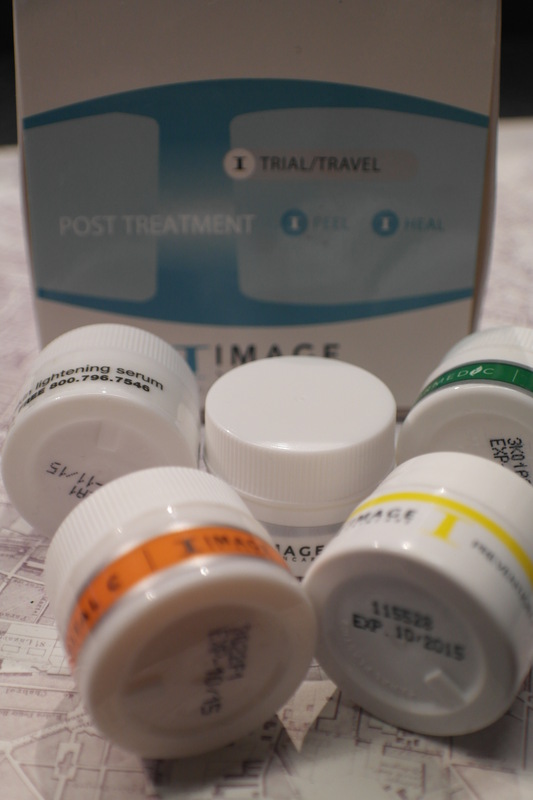 Box of post treatment goodies – this will see me through 48 hours of skincare for the next three treatments. So what were the results of the treatment? Firstly, during the treatment I felt quite a bit of skin tingling, but nothing uncomfortable. Afterwards, I noticed an immediate improvement in my overall skin condition. My skin felt and looked plumper, more toned, hydrated, yet not oily, which is the main criticism of every other facial I’ve had: I’ve walked out looking like I’ve rubbed my face in butter. Fast forward to now (two weeks later) my skin is brighter, less oily and my pores are less clogged. In terms of Image Skincare, I had never heard of this range before however, I’ve since done my research and have only found raving reviews! It’s an American clinical-based skincare company that’s ‘baddies free”: There’s no testing on animals and all products are free of petrochemicals, parabens and chemical preservatives. After my facial Fiona gave me a nifty little box of skincare goodies to use post treatment (for 48 hours). WOW, I loved it! So much so, I went back a week later and purchased the Ageless Total Facial Cleanser (this contains glycolic acid which will help with drying out my skin a little: I’ve learnt it’s overproducing oil for some reason). As I’ve also been on the hunt for a super-duper anti-wrinkle cream, so I settled on ‘The Max’ eye cream. 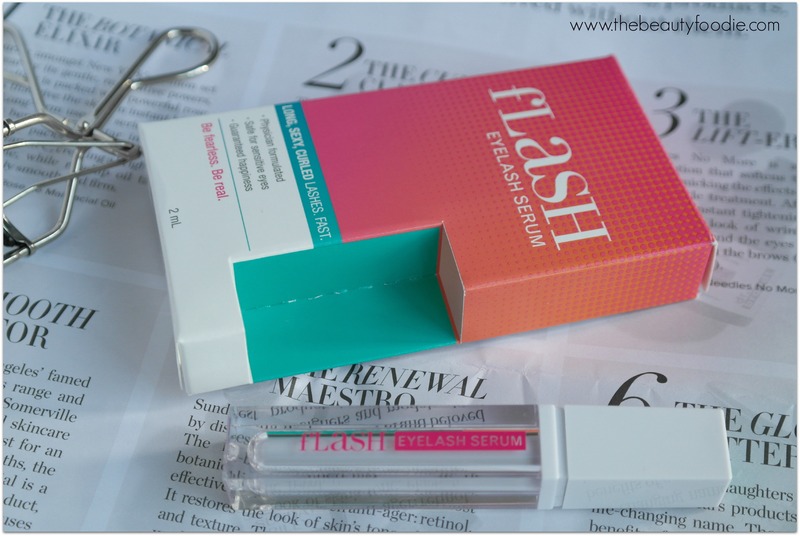 I’ll review these after I’ve given them a really good crack, but so far: I’m REALLY enjoying both products. Visiting Simply Indulgent and having a treatment was something quite new for me. Up till now I’ve just had what Fiona refers to as a “fluffy facial” and the results of these just haven’t wowed me (maybe I haven’t been going to the right place… Who knows). Because of these experiences, I probably wouldn’t have booked in for a facial peel like the one Fiona offered me, because I was a skeptic about whether it would actually do any good. Besides, since I discovered skincare guru Caroline Hirons’ advice my skin is looking the best it has in years. In short: I thought there was no need to have anything done! Hmmm…. Can you hear the ‘but…’ coming?! However, having listened to Fiona’s passionate step-by-step explanation of the treatment, the benefits derived by the products she uses, and the results I’ve seen so far – I’m going back! Also, in terms of skincare, as you have probably guessed by now, I spend a bit of coin experimenting with different skincare… I’ve made a conscious decision to cease with that for a while and, instead, embark on Fiona’s recommendations. I reckon between Caroline Hirons and Fiona – I’m onto a winner. Overall, this was a great experience, right from booking the appointment (through Facebook, talk about easy). Fiona is a delightful and super-knowledgeable lady and, with a Diploma in CIDESCO (the highest level of qualification in Beauty Therapy in the world), I reckon we are lucky to have her in Hawke’s Bay… And she’s set up shop within walking distance from my home! Awesome. I’m heading back to Simply Indulgent in a couple of weeks for a follow up treatment: I’ll keep you posted with how I get on! * The treatment I had, at the time of writing, was $137. After that it’s $89 for an express lift – depending on whether you need to get the Post Treatment kit. Check out the Simply Indulgent website for current pricing!